Liszt chose to transcribe one of the most dramatic and often-excerpted moments, Isolde's Liebestod (Isolde's Love-death), from Wagner's masterpiece. It comes at the very close of the opera as Isolde grieves over the body of her love, Tristan. She sings, "How softly and gently he smiles, how sweetly his eyes open..." Liszt's effort here is reasonably faithful to the score, although he had to eliminate much of the vocal music. This is most noticeable at the powerful climax when the love theme resounds passionately. Of course, when orchestras play this excerpt in concert they typically follow this procedure as well, since the instrumental side of the music can stand apart here. The music starts off gloomy and sounding quite native to the piano, almost like a passage from one of Liszt's darker late compositions. But shortly it begins to yearn and fill with regret as notes shimmer and search, the sound of Wagner's orchestration coming to mind. As the emotions build the music struggles to explode with the impassioned love theme. Finally the climactic moment comes: It is sad, it is ecstatic, it is tragic, but it is beautiful. Then the music fades, and at this point in the opera Isolde falls gently onto the body of Tristan. It was not just vocal parts that Liszt eliminated, but some of the instrumental music and orchestration as well. In the Wagner opera, this scene will last around eight or nine minutes. The transcription here typically takes a minute or two less. 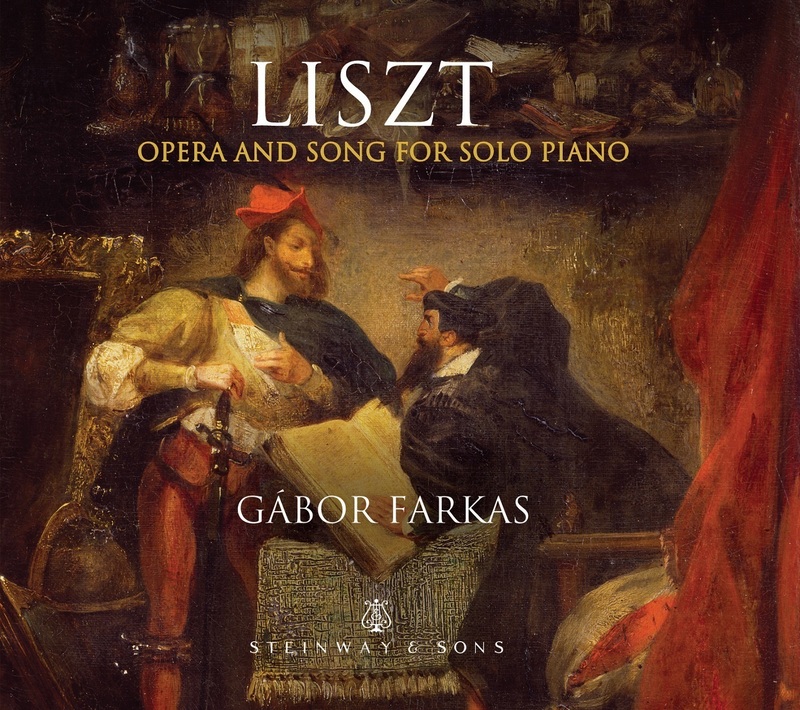 This is one of Liszt's most effective efforts in this genre, though, ironically, by incarnating the music so well on the piano, the listener gets more Wagner than Liszt, more of the opera's momentary impact than a singular keyboard-oriented account of the scene. That, however, is probably what Liszt wanted. This opera may have had a greater hold on the elderly composer than even he realized: On his deathbed, in 1886, Liszt reportedly uttered "Tristan," then died.